Since the new note about where to post theme- and plugin-specific questions was added in #2357, support volunteers have found a small, but not significant, reduction in those types of questions in the other forums like Fixing WordPress. We'd like to try adding a similar notice in the yellow box above the post form. We're not sure how much effect it'll have on posts going in the wrong place, but we figure it can't hurt. Here's a mockup; I added the words "Don't post here – instead" for emphasis. ​Discussed in today's support team meeting. Support Theme: After , add a similar message with theme and plugin references to the list of tips above new topic form. This should further reduce the number of questions related to a specific plugin or theme in general forums. I just realized that the "Don't post here – instead" part doesn't make sense when you're posting from within a theme or plugin forum, since you're already in the right place. Looking for help with a specific theme or plugin? Be sure you're in the theme or plugin's individual forum before posting. 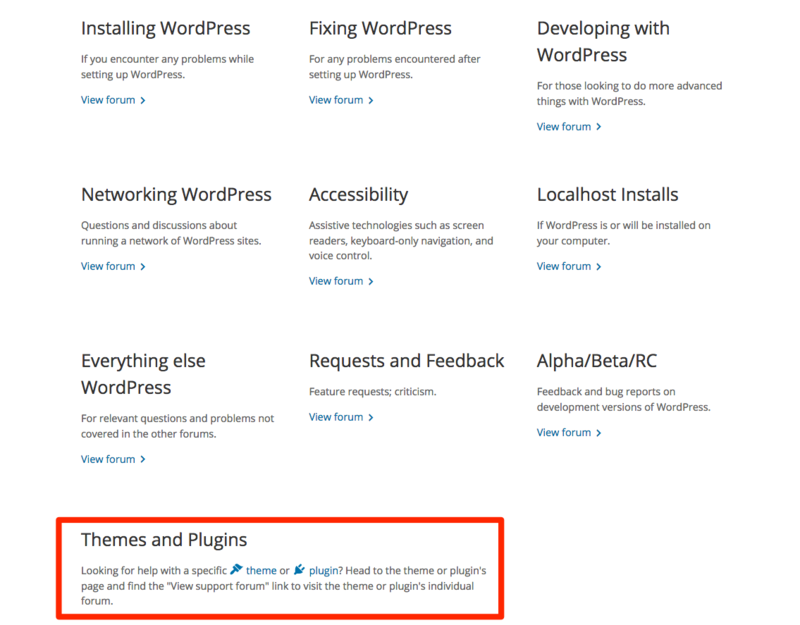 Visit the theme or plugin's page and find the "View support forum" link to find it. Visit the theme or plugin's page and find the "View support forum" link to find it. I think we could just remove the message from theme and plugin forums, would that work? Brilliant idea if we can do that @SergeyBiryukov - thank you! Support Theme: After , remove the "don't post here" message from theme and plugin forums, since that is actually the right place to post.